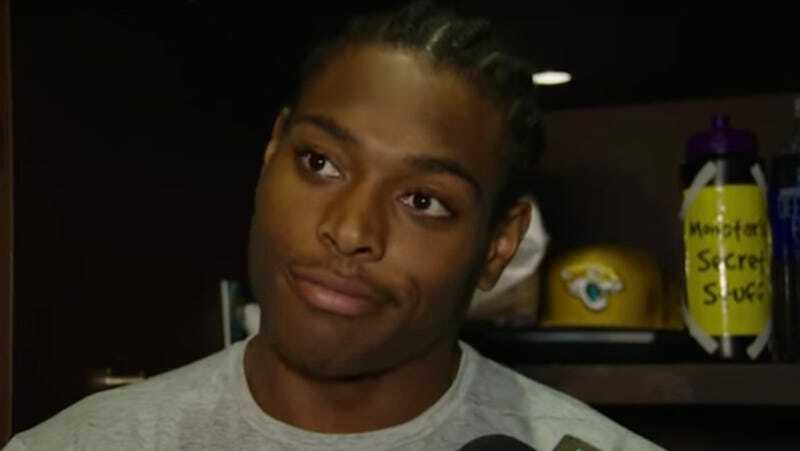 Jalen Ramsey Can Tell You Exactly Why Josh Allen Is "Trash"
I think [Buffalo Bills draft pick Josh] Allen is trash. I don’t care what nobody say. He’s trash. And it’s gonna show too. That’s a stupid draft pick to me. We play them this year, and I’m excited as hell. I hope he’s their starting quarterback. He played at Wyoming. Every time they played a big school—like, they played Iowa State, which is not a big school in my opinion because I went to Florida State, and he threw five interceptions, and they lost by a couple touchdowns or something like that.✞ He never beat a big school. If you look at his games against big schools, it was always hella interceptions, hella turnovers. It’s like: Yo, if you’re this good, why couldn’t you do better? He fits that mold, he’s a big, tall quarterback. Big arm, supposedly. I don’t see it, personally. God, this is just perfectly executed. First Ramsey bluntly states that Allen is in fact garbage, then offers a thorough explanation for why he is garbage, and then, after briefly listing some of Allen’s positive attributes, finishes things off with “I don’t see it, personally.” It’s so mean, and I love it. There’s a ton of other good stuff in the interview, including Ramsey’s thoughts on the NFL’s new anthem policy and the league’s treatment of Colin Kaepernick. Go read it. 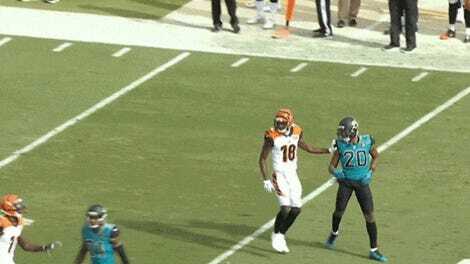 Jalen Ramsey On Fight With A.J. Green: "I Told Him Almost Every Play That He Was Weak"